A super nutritious Keto Power Pudding with Green Tea Matcha, Chia Seeds, and MCT Powder. The perfect breakfast recipe, snack or dessert. Its gluten free and paleo as well. 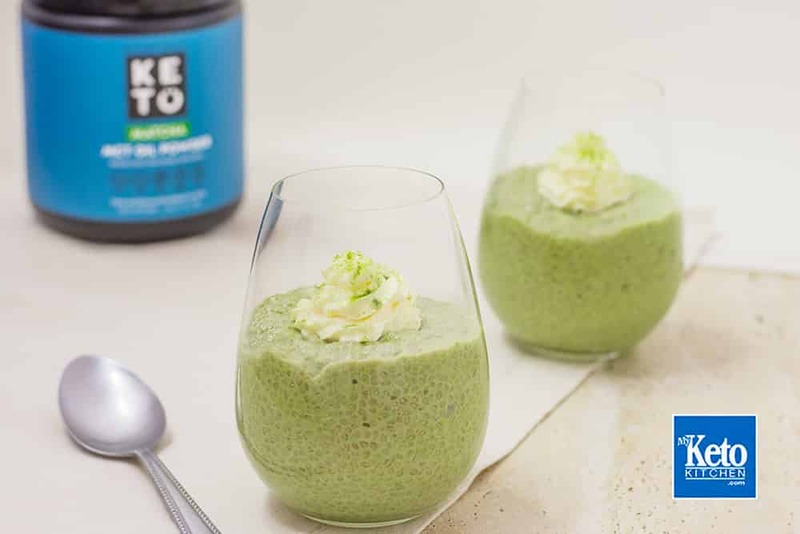 Not only is our Keto Power Pudding Delicious! It’s loaded with Chia seeds (a great source of Omega 3 fatty acids). Healthy Fats, Antioxidants, and MCTs for Ketosis, Perfect! All the ingredients work to make one of the most nutritious, energizing and fat burning recipes we’ve made yet! 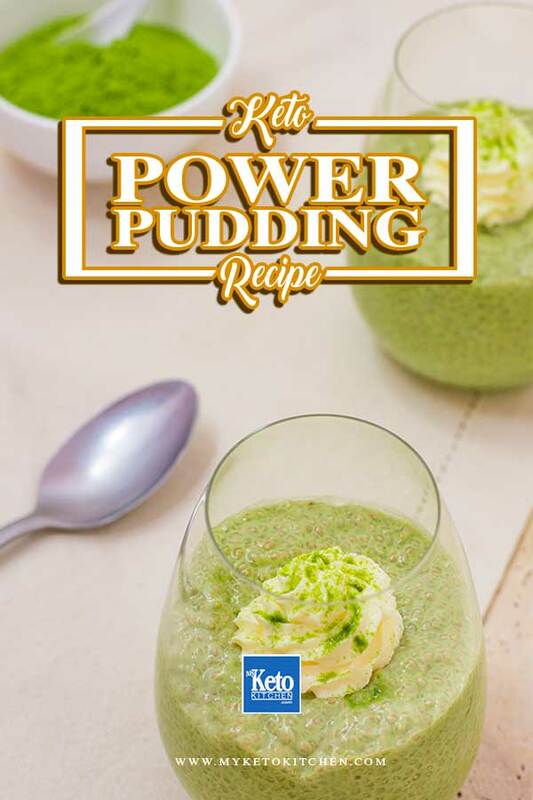 This keto power pudding recipe makes 4 serves of 110g/4oz. Store in the fridge for up to 1 week. This Keto Power Pudding is the ideal to breakfast recipe to start the day. Containing Matcha, MCT Oil and Chia seeds if loaded with nutrients. In a measuring jug place the chia seeds and Matcha MCT Powder and mix well. Add the almond milk, and erythritol and mix well. Cover and place in the fridge for at least 4 hours, or overnight for best results. Split the pudding into 4 serves, top with whipped cream and serve. Everyone knows the super nutritional powers of chia seed, Green Tea Matcha and MCT Oil. This blend will is not just a delicious breakfast, snack or dessert. It will fuel you physically and mentally for the day ahead, aiding thermogenesis and ketosis. Chia seeds are a great source of Omega 3 fatty acids. 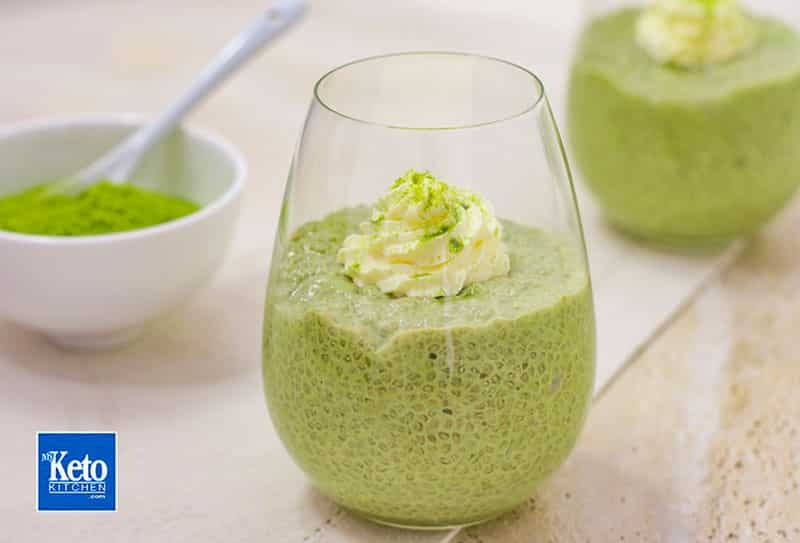 We’ve combined these super seeds with Matcha MCT Powder for a filling and fueling Keto Matcha Chia Pudding. In a measuring jug, place the chia seeds and Matcha MCT Powder and mix well. 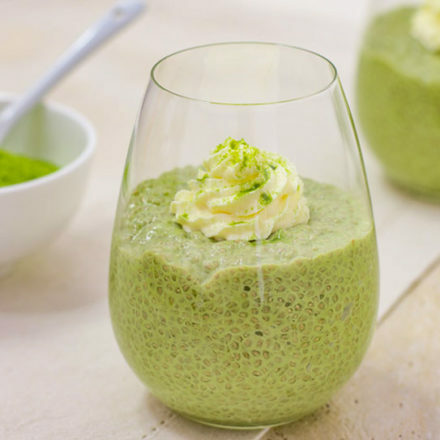 To make a larger batch of Keto Matcha Chia Pudding, simply adjust the serving above.